Are you moving this season? April marks the beginning of peak moving season where an average of 40 million people in the United States move each year. Moving into a new home can be an exciting and stressful time for families. Unfortunate surprises in this stage aren’t necessarily welcome and anything wrong or out of place can feel 10 times worse. For those reasons, it is important that you take the time before your official move to make sure everything is in order. Anything out of place can be covered or addressed by your landlord, renter or superintendent and help the move go smoother. Don’t know where to start or what to look for? 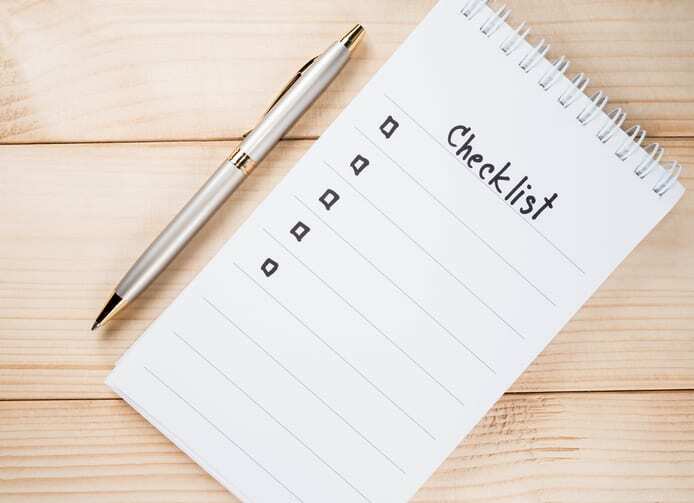 Use this handy move in checklist to get yourself started. Nothing is worse than breathing in dirty air. When air ducts get dirty or backed up it can result in your allergies acting up, sinus problems and/or respiratory problems. You can help by making sure your air filters are clean and replaced. Specialists recommend that air ducts be cleaned every three years or so, so be sure to check the last time they were serviced. Clean air ducts not only make the air cleaner, but also help save you on energy bills and increase their lifespan. A clogged dryer lint trap and vent can be extremely dangerous. The build-up of highly flammable lint exposed to the extreme heat generated can cause devastating fires. The U.S. Fire Administration estimates almost 3,000 fires occur each year because of dryers. The lint trap for your dryer are easy to access and should be cleaned before and after every time you use the dryer. The vent, although a little harder to get to, is easily cleaned and can be done on your own. Depending on your frequency of use, this should be done several times a year and certainly before the move in. Here is an easy guide to help you clean it. Nothing is worse than moving into your new home and realizing you already have guests… but not the good kind. Pests don’t care if you are just moving in, they’ll make themselves right at home anyway. Common household pests like insects and mice are sometimes unavoidable, but you can usually spot them easily. Take a look around for dead insect carcasses, droppings and/nesting materials around the house but especially in the attic and basement. If you think you may have a problem or want someone to do a thorough check you can always call in an exterminator. Hard water can be a real bummer for new homeowners. It creeps into almost every aspect of life. It leaves you feeling grimy after showers, makes your clothes rigid after a wash and gives you that gross, metallic taste in the water you drink. Not only that, but hard water can wreak havoc on your pipes. It is crucial that your water softener is in tip-top shape. If your new water softener is a littler worse for wear, you can always call your friends at Chapman to get you a new one! We are proud to serve Central Indiana for all your plumbing, heating and cooling needs.